I have spent a lifetime using my spiritual gifts to aid people in their personal growth and to calm their turmoil. Through my guided meditations, past life regressions, and cohesive view of the power within, I offer a peaceful, safe retreat into the silence of your inner self. I began my spiritual life at the age of five with the revelation that I could not play hide and seek with God, since God is everywhere, in everything and everyone. I continued at the age of 12 to study Zen, Sufi, Hindu and Western religious theology, reading widely from the classic literature (The Tao, Upanishads, Vedanta, Zen koans) and studying the masters. In 1980, I backpacked from the tip of Southern India (Kerala) to Rishikesh and finally Badrinath in the Himalayas, staying in ashrams (spiritual retreats) and listening to the teachings of the holy men and women (Jain), sadhus and sanyasis. In Badrinath I spoke with and observed the naked nagas (ascetics), who lived with inner joy and discipline in icy temperatures, owning nothing, and inhabiting caves and forests by the Ganges. I incorporate the teachings of Alan Watts, Don Miguel Ruiz, Gurdjieff, Ram Dass, Louise Hay, Abraham-Hicks, Seth, Krishnamurthi, Victor Frankl, Deepak Chopra, Marianne Williamson, Wayne Dyer, Sri Aurobindo, and many spiritual teachers, into my unique philosophy of inner and outer healing. I conduct one-on-one sessions with professionals as diverse as psychotherapists and artists, physicians, dentists and musicians, teachers and people who are still discovering their purpose in life. 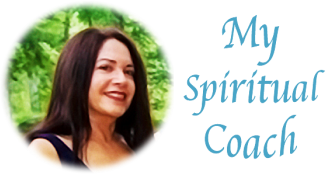 I also teach classes on Past Lives Regression, Soul Mate Encounters, Aura and Out-of-body Experiences, and other metaphysical topics. I have led numerous group past life regression sessions as well. "The mind lives in more than one dimension."